Hoe off any weeds that have grown and level the area – you can pat it down with the back of a fork. Then, in a pair of well-worn boots, when the surface is dry, tread the soil down hard in several directions, then rake it several times in different directions, making sure you rake it level. Now you can sow or lay turves. 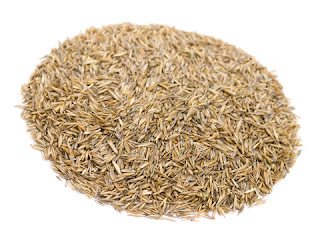 If you are seeding you’ll need to decide what type of lawn you want, general purpose, using rye grass, general purpose ornamental or high quality ornamental. Follow the supplier’s recommendation for the correct quantity of seed. For a general purpose or utility turf with rye grass you can spread about 15-20g per sq metre (½ an ounce per sq yard). You can use 50g/sq.m (1½ oz per sq yd) if you want it to establish much faster. Divide the area into square metres or yards. Divide the seed in half and sow half the seed evenly over the whole area in parallel rows lengthways and then sow the rest of the seed in parallel rows widthways. Lightly rake the area with a spring-tine lawn rake and water with a sprinkler if conditions are very dry. The lawn should germinate in a couple of weeks. If you are laying turf follow the preparation and we’ll have some tips for you next month. What I really need right now is a product that could give me the best yard fertilizer in Atlanta. My lawn badly needs it here.